Sip on a tropical cocktail and feast on a delicious dinner courses on a variety of Hawaii sunset cruises and sails with live music, hula shows, friday fireworks, and of course, spectacular sunsets. Enjoy your evening on a cruise ship, powered or sailing catamaran, glass bottom boat, or even a pirate ship! 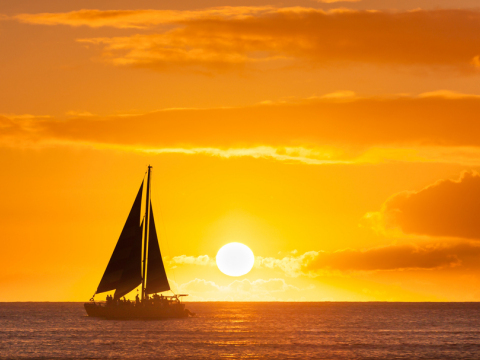 These fun and relaxing sunset cruises are a must-do activity for anyone visiting Hawaii. Let me start off by saying I NEVER post reviews...which I need to work on because I am always checking them out before I do/buy things. This was my boyfriend & I first trip to Hawaii so we were very excited! We chose the Five Star package because of the jazz music (we attended a luau the night before & did not want to have the same theme). They picked us up from our hotel at 4:30 pm. From the very beginning we were treated like VIP. We were led to the top deck to have champagne & o'dourves with the captain. We also got to take a professional pic with the captain, which was cool. After that, we were led to our seat inside the ship. We had a window seat & loved it. We were a little worried about getting seasick, but it wasn't a problem. I was a little concerned about the food at first because neither one of us are into fancy food, but it was pretty good (as stated before we chose that package specifically for the music). Instead of the lobster we chose a stuffed chicken option which was my favorite! For our steak entree we asked that it was cooked well done & it was the most tender steak ever! Throughout the dinner you can step outside as you please to feel the breeze, take in the views, & take pics. The ambiance was beautiful! There was a live pianist, saxophonist/flutist, & singer. They were great! In the end they gave us the photo we took with the captain in a nice album cover with a pic of the ship on the water. Also, all of the ladies were given a rose. The only thing I WISH I would have did was asked for another copy of the photo so my boyfriend & I can both have one :-( I didn't even think about it until we returned back to our home state. I called 3 days later to see if we could get a copy; they sent an email to the photo dept. but almost 2 weeks later & I still haven't heard anything. Overall, I highly recommend! This is perfect for a romantic date night! The cruise lasted about 2 hrs. This was a great way to end our trip in Hawaii. It's always a wonderful experience with Star of Honolulu! It's my 3rd time with Star of Honolulu and they never fail to amaze me! I was greeted with a beautiful smile by Kathleen at the ticket office. She was very nice, friendly, and it seems like she was enjoying her job. Before we boarded, the dancers are always very entertaining, a unique way to welcome their guests (yes, I've been to other dinner cruises and only Star of Honolulu has this great idea). At the boat, here comes the cheerful and very energetic Freddie, who took us to our table. He didn't realize there were eight (8) of us but he was able to accommodate us right away having our own table by the window! He is the Assistant Floor Manager and I was really impressed with his friendliness and bright personality, he is funny too! The couples that we were with are visitors from Canada, celebrating their Silver Wedding Anniversary. I forgot to mention this special occasion when I made the booking so I told Freddie if there’s a way he can announce it after dinner. Knowing how busy they were, I never expected it to happen but I was extremely happy and grateful that he didn't forget. After the Polynesian entertainment, he immediately pulled my couple family towards the stage to make their dance. All the other couples, honeymooners, anniversary celebrants, followed. It was an honor!! Thank you so much Freddie for that, it was a memory of a lifetime for my family. I would also like to give credit to Jay, who was our server that night, in fact all the crew members because they know how to take care of their guests, they're fast and attentive! The One Star package is not bad at all, I actually like this better than the Three Star believe it or not and IT'S ALL YOU CAN EAT CRAB LEGS!! Yummy! The steak was delicious also, so tender and juicy! Will definitely cruise with Star of Honolu again and again! True "Aloha" spirit..good impression for those visiting the islands for the first time...greatly satisfied with the services they offer. Thumbs up SOH!! 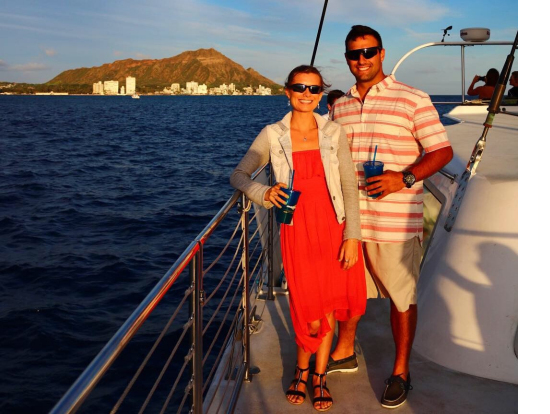 A friend and I both took our ladies on a surprise sunset cruise with Makani Catamaran and it was fantastic. It was definitely one of those experiences that was so much fun time flew right by. The great thing about this catamaran cruise is that you launch out of Kewalo Basin on a slip, not off of a beach like some Waikiki cruises. This means that if you want you can really dress however you like- shoes, jeans, dresses. Once you get on the boat, you're introduced to the crew and they go through the obligatory house-keeping topics: Crew introductions, location of bathrooms, safety items, where you can go on the boat, etc. Then they go over how food and drinks work. Food for us was a buffet of five items: Veggie/tofu wraps, rice, potatoes, shoyu(soy sauce) and ginger chicken- which was the best in my opinion, and beef stir fry. Each item had one tray's worth of food, which was easily enough to satisfy everyone on board, although I don't believe there were any left overs. I've read reviews stating the food was a little nicer than Panda's Express, and that seems like a very fair statement. The cruise came with one free drink. On the boat non-alcoholic drinks are $2 and alcoholic drinks are $6, and the more alcoholic ones like Long Island Iced Teas are $8. 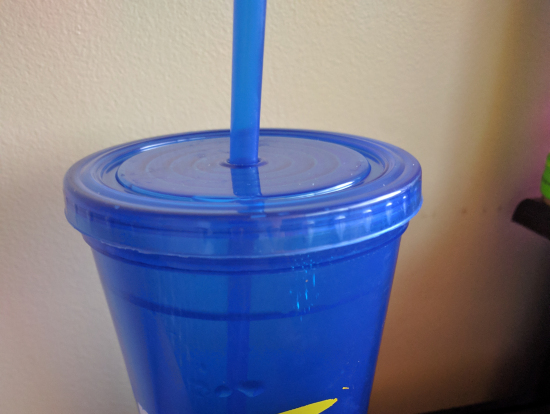 You can buy a commemorative cup for $8 which holds about twice as much as the disposable cups you would get otherwise. Our bartender made good recommendations based on what flavors I told him we were looking for. The best part is just being out at sea with the people you're with. Aside from the crew instructions at the beginning, it's very hands-off. You just wander around the ship enjoying your company and great views. Although it can get a little windy, it's quiet enough that you can converse at a normal volume easily. If you get cold you can spend a few minutes on the inside of the boat to warm up a bit. If this is within your budget, I highly recommend it. It's simple, clean, and fun. Picture of the commemorative cup. Quarter at bottom for size reference. 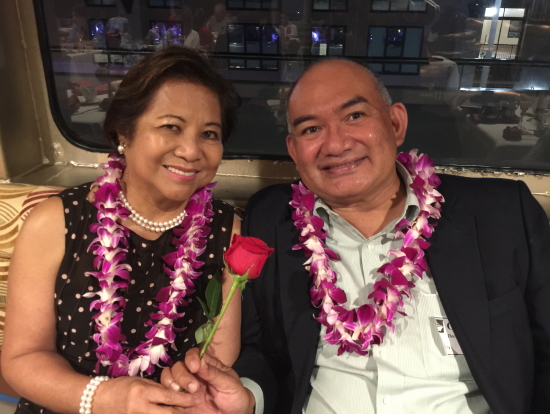 My wife and I were recently transferred from the mainland and celebrated our 41st Anniversary here in Honolulu without our family, So we thought a seven course meal sunset dinner meal cruise with Jazz entertainment would an ideal way to celebrate our weddding anniversary. Coincidentally we were sitted next to another couple from Chicago who just renewed their wedding vows after 41 years of marriage also and found a lot in common with them (same age of children and grandchildren and pathway in life), thus truly enjoyed each company - for they were traveling by themselves as well. The Captain, the crew were great (especially Foster our server), the service was fantastic, and the food was great. 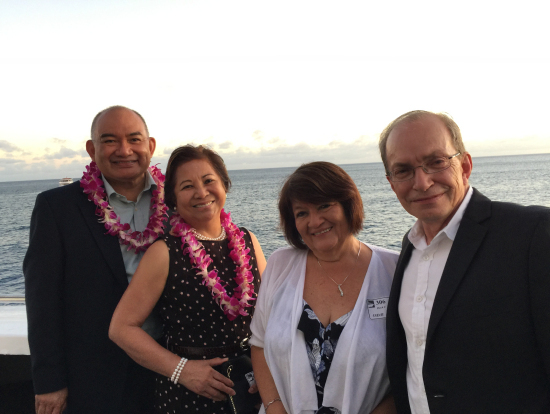 And of course the entertainment and the ambiance with sunset backdrop and Waikiki ocean shore scenery made it memorable. 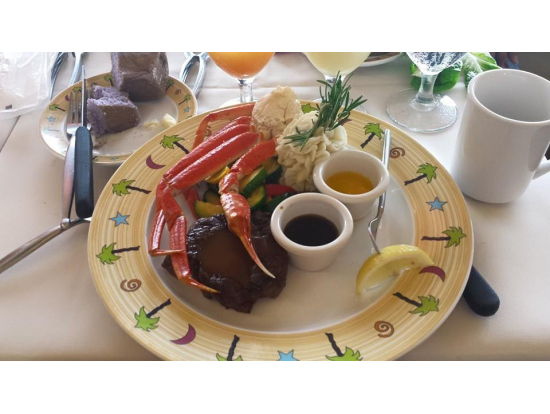 Here's what you can expect from Star of Honolulu Sunset Dinner Cruise with Live Entertainment / Three Star Steak and Lobster Dinner with Jazz entertainers. will be treated to live music, top dining and spectacular views. 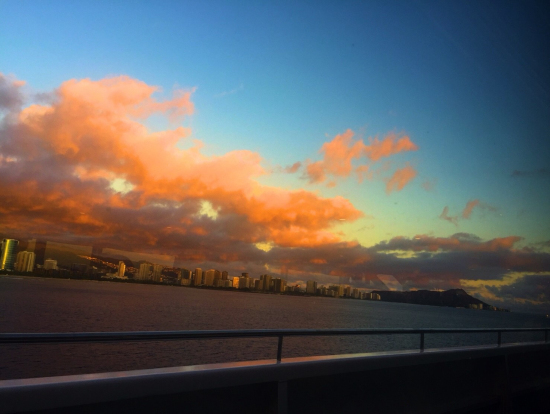 Upon arrival at Aloha Tower Pier, you will be guided to the top deck, where the captain and crew are waiting to treat you to a Hawaiian Belini toast and seasonal appetizers. A sophisticated way to start off an elegant evening at sea. 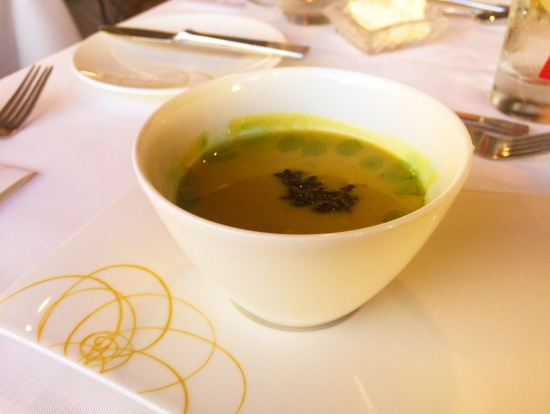 Served in the luxurious top-deck Super Nova room, this premium French-style dinner menu features only the best seasonal ingredients picked and prepared by expert chefs. 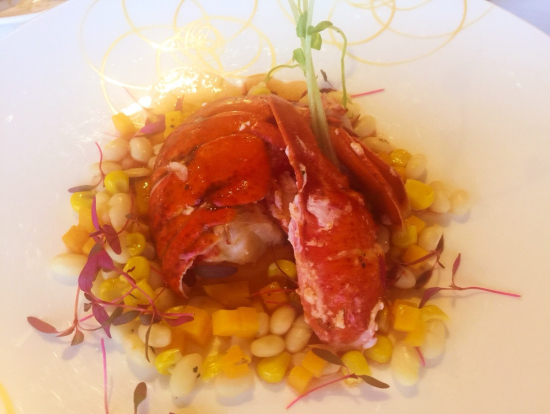 Maine lobster and top-quality beef tenderloin are sure to be highlights of the meal. 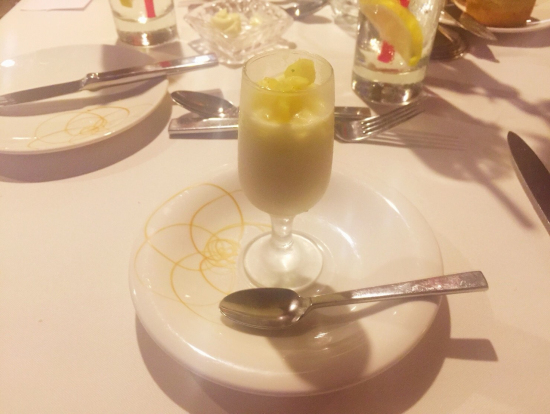 As a Five Star dinner guest, the full drink menu is available for you to order from. Up to three super premium beverages are included with your meal. 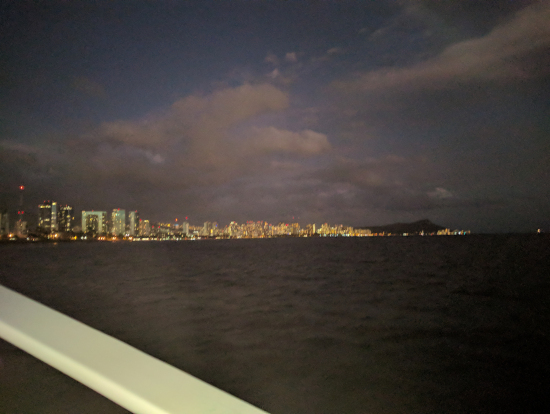 My girlfriend and I went on a Star of Honolulu dinner cruise one Friday and we had a blast! We arrived early and had some drinks before boarding the ship and were greeted with a performance of beautiful Hawaiian dancers. They kept dancing all the time while people were boarding, it was so pretty. Amazing - Look no further, just book it. My wife and I knew we wanted to do a boat tour of the Napali Coast but with all the options available we were nervous about picking the right one. Let me save anyone else looking into this the trouble and say just book the Sunset Cruise with Holo Holo Charters. You won't regret it, unless you get sea sick, which I would say probably 3-5 people out of 25-30 or so did on our trip, which was in early/mid May. But the crew took great care of them. My wife and I popped a dramamine each about an hour before we boarded and another right when we got on and felt great. More about the trip. The crew and Captain Glenn were fantastic. They opened up the bar immediately upon leaving port and made sure we had drinks in our hand for the duration of the trip. The boat was spacious and there was plenty of room to move around. We were able to see the entire coast and even made it up to the northern most tip where the last beach accessible by car starts. I don't think many of the other boats are able to do that because they are not fast enough. The crew was probably the best part of the trip, they were super attentive, even offering to take pictures of us with the coast as a back drop. They were also very interesting to talk to and gave us lots of information about what we were seeing as well as info on local spots to check out when we got off the boat. My wife and I had hiked the Awawapuhi trail earlier that morning, which overlooks the coast, and the crew were nice enough to point out where we were to us as we cruised by. Awesome trail by the way if you like hiking. The crew also made sure you didn't wipe out while you were walking around the boat, it can get a bit choppy. At one point I was exiting the bathroom as we hit a dip and a member of the crew was able to grab me and steady me before I took a tumble. In a nutshell, book the trip and don't have second thoughts about it. Worth every bit of the money. Holo Holo Charters does an amazing job. Thank you for taking the time to post this awesome review! We will pass this great info onto Capt. Glenn and Crew. 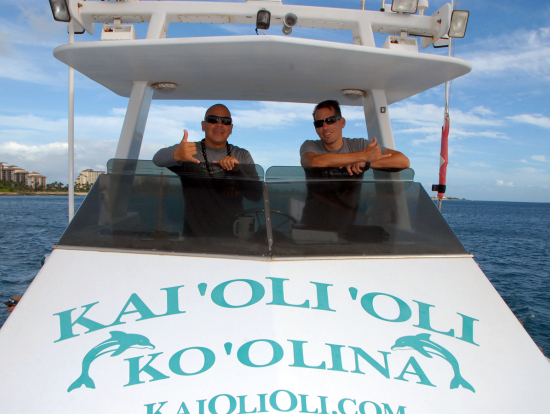 We hope you had a great time here on Kauai and hope to see you and your wife out on the water again! 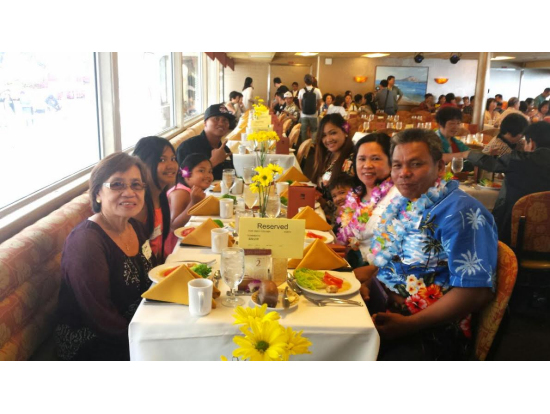 We attended this cruise on 2017/12/24 Christmas eve and it was a wonderful evening from start to finish.The star of Honolulu is an amazing evening from the coach "Royal Star" transferring us from the hotel to the ship and back with great care. Upon arrival, the 5 star guests were ushered to the boat and boarding was separate from others. A photo, drink and canapes were offered on the top deck. We were then shown our seats - private 2 person table along the window - and drinks were served. 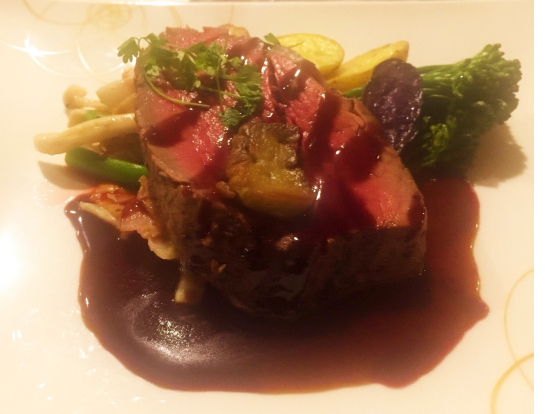 The menu was a 7 course meal with the Beef with Foie Gras being the highlight of the dinner! Tender and melts in your mouth. Overall the dinner is a 9/10. Wait service was amazing, very helpful, explained all courses and never stopped smiling. Drinks were well made and presented nicely. The cruise it self takes you along Waikiki beach with some great views of Diamond Head and all of Waikiki. The ambiance the sunset creates is great for all couples and a very romantic backdrop to take photos and video. Live entertainment was a nice touch, with a Jazz show. The singer had an amazing voice along with the pianist and sax player. This is truly an amazing dinner evening with your spouse or partner. My only disappointment with this cruise is the actual time to spend on the deck enjoying the ocean breeze. Dinner is served shortly after leaving the dock which having a course dinner is hard to get up and leave between each course. We did manage after the salad to leave for a few minutes. The waiter kindly waited to serve us the 4th course when we got back. Overall this cruise is an amazing romantic and wonderful cruise for couples celebrating. Make sure to pay attention during dinner to get great photos of Waikiki, Diamond Head and sunsets. 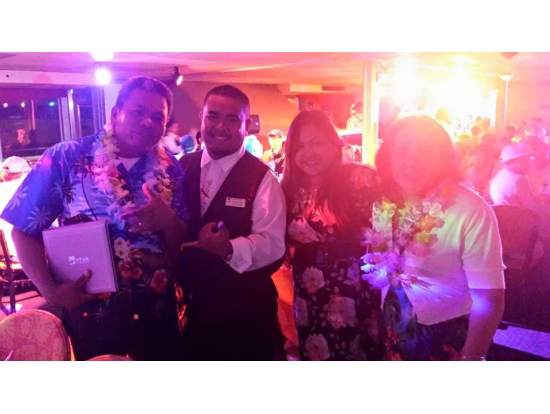 Thank you to all the staff of #The Star of Honolulu for your professionalism making our experience a wonderful night. I had an amazing time! Cruise was fun! I've been to many dinner cruises on the island and the Navatek boat is indeed by far the smoothest ride I've ever been. We went during the Nagaoka Festival in Waikiki and the fireworks display was so outstanding, which made it more enjoyable and memorable for us! The staff at the Ticket Desk were also very friendly. We got there 45-minutes early and Josh was very kind enough to answer the many questions I had while we were waiting. It wasn't their normal schedule that night and Josh was able to share their regular schedule with me, the transportation and check-in procedures, and wait times from boarding to departure. As for the servers on the boat, they were okay but they could have been better! I would have preferred them to be more energetic and quicker. Our server that night seemed a little too tired and it also took us a while to get the drinks we ordered. Very good food though! The teriyaki garlic chicken was my favorite..yummmm!!!! The Polynesian entertainment was good but I wish it was longer. They only performed three (3) different dances and that was it. The host and singer was also good, I like that she interact with the audience while singing but I wish she could have sang songs that are more familiar to the audience. I thought the songs were too old to be sung these days. Something that I never expected though is the dancing at the end of the cruise! We danced the night away and that was so much fun! I loved it! I'm glad I took this trip as I didn't know this is also available at Navatek. I've always thought this to be more intimate, for couples celebrating their anniversaries or honeymooners who want a quiet and romantic moment but this can be for families or group of friends as well. 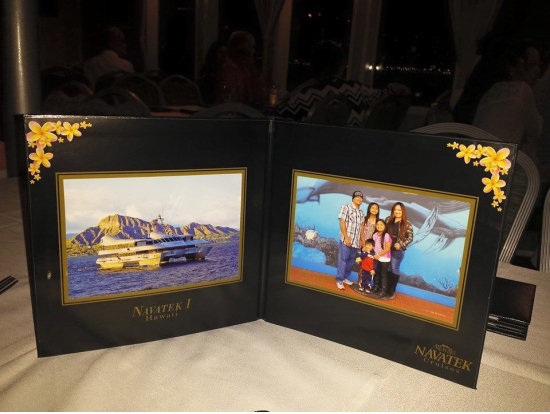 Thank you Navatek for allowing me and my family to enjoy your cruise! the boat was not too big and luckily we only had less than twenty people so a lot of room normally around forty people on the board. I suggest to take a pill before you go on because it really help you not to through up. snorkeling was fun experience and they teach you everything you need to know and fun part was when you go into the water they feed the fish so the fish can come to you I'm talking about a lot of fish and it was so amazing and beautiful when can I get to see that many of fish. after snorkeling it's cold right but this boat has warm water so you can take salt water out in warm water, that was pretty good idea for help from cold and windy weather. the boat had every drink you could think of like from hot coffee to cold soda to alcohol beverage and people working on the boat took turn to be a bartender and they actually make good tasty drinks but just let you know that alcohol is only served after snorkeling. it was my first time watching Dolphins swimming around and that was amazing time. captain was very generous he didn't want us to miss every moment so he was keep looking out and around the ocean if anything it might be interesting for us. overall this was the best experience for us and I truly and definitely recommend to try, love to go on the board and meet them again. We originally tried to get another sunset cruise, but it was booked. However, at the last minute the company was able to book us on the Honi Olani for the next evening Sunset Cocktail Cruise. We also received a 2 for 1 promotion. We were picked up right on time at 5:05pm as promised. When we arrived at the pier we were greeted by the Captain Josh, Barry and the driver Jacob also stayed aboard as a crew member. The great surprise was that we were the only couple on the entire cruise for the evening. We had a personal sunset cruise. Of course the likelihood of this happening again is rare, but we loved it. The cruise line could have canceled us because the newly acquired catamaran did not fully book, but they sailed us solo anyway. Great customer service! We were served fruit , cheese and crackers, soft drinks and mixed drinks. They also had meatballs and chicken. I believe they had a vegetable tray, but we never got around to it, and just ate the fruit, cheese/crackers and drinks. 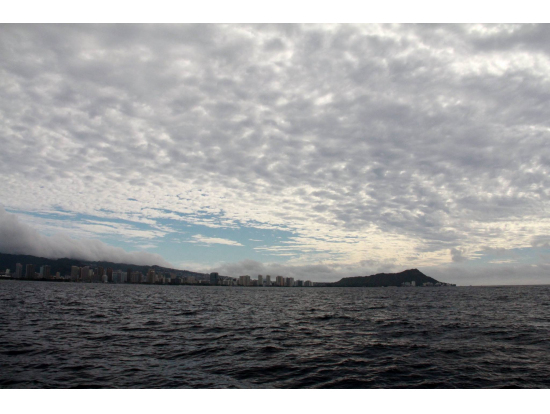 The sailing catamaran was spacious and the views from Waikiki/Honolulu and the dormant volcano Diamond Head were breathtaking. The crew were delightful, and were very informative by answering questions and being engaged in great conversation. They also were gracious to take pictures for us. We watched the crew raise the sail that had beautiful coloring including a woman's face. The weather was perfect and there was no need for a jacket. The boat took on the wind perfectly and we sailed along without a care in the world. 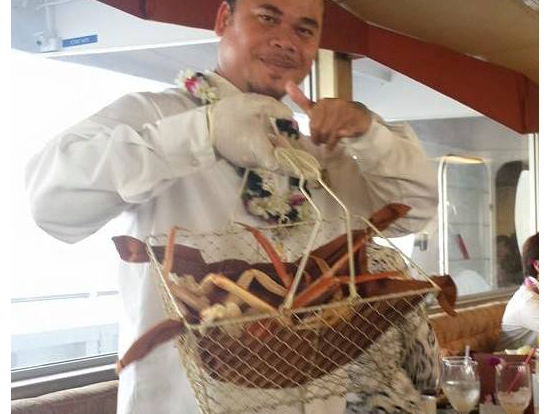 If you come to Honolulu/Waikiki area, I would highly recommend the Honi Olani and their crew. We took this cruise as a final romantic night to complete out honeymoon, and couldn't have made a better choice! The crew was very friendly and entertaining, it felt as though they were a little family who'd invited us to enjoy their boat with them. Our bartender was a fun guy who poured great drinks, including their special "Hightide." I won't give away the recipe, but of course it involves significant parts Rum, Tropical Fruit, and Delicious. 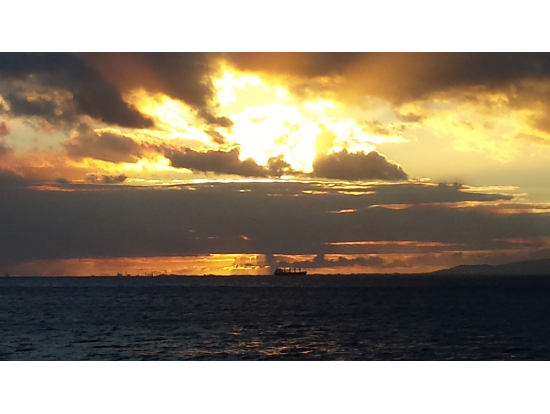 Ship was smooth sailing, giving us a nice calm view of Waikiki and the setting sun across the Pacific. The route taken goes out from the harbor and past Diamond Head, allowing for a wonderful view of it. 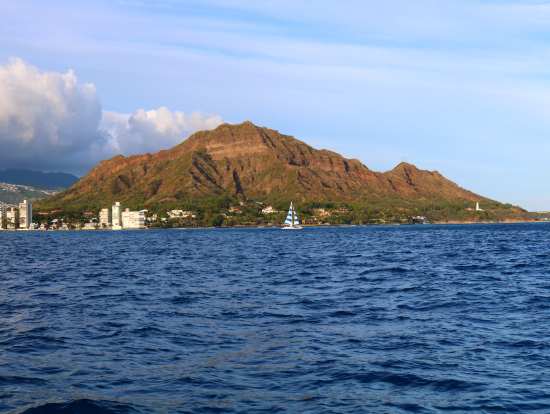 Hiking to see the view from atop Diamond Head is one thing, but seeing the whole peak from sea is quite another treat. You'll get the feeling of a visiting explorer from the past, watching that peak and shore slip into view. Only difference is you're on a luxury cruise with Hightide in hand and some great party music playing. Our crew even managed to find us whales, and made sure we got a great view. Saw several surface, blowholes blasting, a fluke raise, and even a calf breach! Despite some other snorkel boats mentioning the possibility of whales, this was the first time we'd gotten to see them. Even more exciting that they were so close! Thanks again to the whole crew for making this such a wonderfull sail. Loved the food and drinks, danced to the classic hits being played, sat on the mesh net across the double bow, and ended our honeymoon with a beautiful sunset on the sea. Definitely booking the Makati again whenever we make it back to Waikiki! 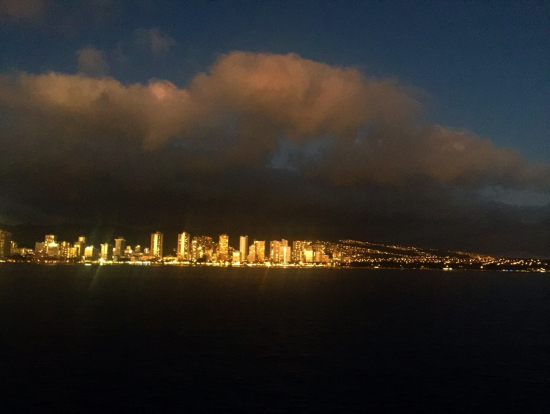 I took my girlfriend on the Star of Honolulu Sunset Dinner Cruise from Aloha Tower. She was new to Hawaii and was not sure what to expect. I appreciated the fact that they picked us up near the hotel we were staying. Upon arrival, we were guided to our casual dinner level, or deck. This was somewhat bothersome, just because there could have been more flow to it. Once we got on the ship, we were seated promptly. The tables were set and an orchid flower was placed in the middle of the dinner plate. (Very nice) Before long, we were off the dock and on to our adventure. The meal was buffet style, food was okay. While we dined, there was a single singer, who sang many of the songs associated with Hawaii and songs from movies about Hawaii. He was friendly and personable. After dinner, coffee and dessert was served on the outside deck. Shortly after, a smoking hot hula show began, where they explained the history of hula, as well as performed several numbers of Hawaiian music and dancing. While this was happening, a beautiful sunset was developing outside on the deck, and I was able to snap many quality sunset photos. We traveled parallel to the Waikiki hotel row, and went slightly past Diamond Head, before we turned back. It was an awesome experience and truly romantic. I have personally done the luau shows in and around Waikiki, and I always seem to gravitate back to the sunset dinner cruise. My belief is that I get the most value for my money on the sunset dinner cruise. I get a boat ride, a meal, a hula show and the beautiful sunset all for the price of one ticket. I will return. I booked this cruise as a surprise for my girlfriend and she absolutely loved it! Every friday the Hilton hotel has a free fireworks show and this is a great way to view them and to make the evening that much more special. I would recommend this activity to couples but it is set up so anyone can enjoy. Our catamaran cruise started off with their driver coming to pick us up. He was on time and very friendly. We arrived at the dock early and had our first look at the Makani. It was very clean and was smaller than all the other catamarans in the area which was exactly what I was looking for. The boat held roughly 30-40 people. The only complaint we had while waiting to board was nobody came to talk to us about what was going on. Our group stood there for half an hour and as other groups showed up, we then found out we had to redeem our tickets. By this time there was a large line but thankfully they got everyone through quickly. Before we left the dock, the captain went over the features of the boat, introduced the crew and went over everything we needed to know to keep us safe. Once out out on the water, the crew invited us to take part in helping run the ship with their supervision. I thought that was great to make the experience that much more personal. We sailed for an hour then they stopped the boat so we could have our dinner. It was a buffet style with plenty of food to go around. We then found our spot in the water over looking the Hilton. 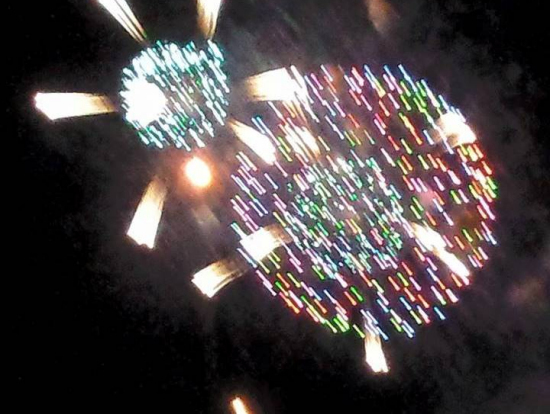 The fireworks started at 7:45 and lasted five minutes. 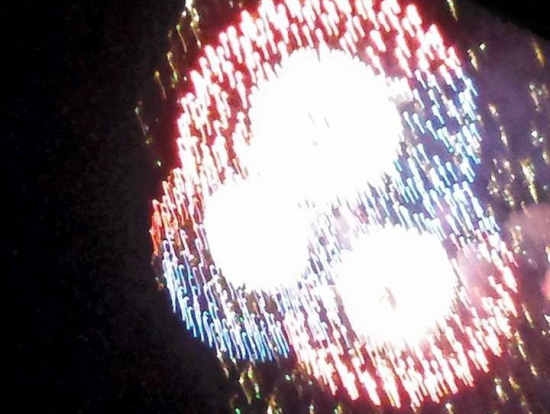 It was a great show and they used quality fireworks that were exciting to watch. Our Makani Sunset Dinner Cruise was simply amazing!Everything about this trip was memorable-from checking in, boarding, cruising, and (sadly),returning to port.The wonderful and hospitable staff, delicious dinner, refreshing drinks, and the stunning sunset made this experience the best bang for your buck on the island. The evening started with us boarding the catamaran and choosing a seat next to the captains. We took photos and then assembled for a friendly,but thorough welcome by the small but mighty crew of three. We then fired up the bar and the engines and headed out on the ocean listening to a variety of island vibes. It was so picturesque- Heads bobbing, couples hugging, boat sailing, and the sun slowly going down.And did I mention a bridal shower group on the boat. !We chatted with others (local and first timers) and shared one common theme.....we were on the fun boat. We ate a delicious buffet of rice, colorful pasta salad, islandy tofu rolls, sweet glazed teriyaki chicken, beef and crunchy broccoli, mini egg rolls, and macadamia nut cookies (there was even food left over). The coolest part of the trip came with the sunset. We hung out on the catamaran (trampoline bed) chatting and feeling the breeze. We also took turns passing around our cameras for photo opps. As the sun disappeared into the horizon, we began to feel the 180 of the boat.While the cityscape was absolutely beautiful as it lit up the shoreline, we didn't want it to end. What an excellent adventure! Many thanks to that awesome crew for a lifetime reflection of what paradise really feels like! Mahalo! We are very happy that you guys had a wonderful experience on our Sunset Dinner Cruise. Makani wants our customers have the best time on all of our Sails. My wife and I have just returned from a dinner cruise beyond compare. We had the perfect evening for this cruise. There was some mauka showers early on, which led to a double ended brilliant rainbow. And the crew dried all of the outside seats for later use. Drinks and more appetizers followed as we cleared the harbour under power. Fortunately, the wind was up, but not to strong to sail. ASK TO SAIL! I did, and after the sails were raised, I was given the helm and the compass course. Although I have sailed many times before, it had been several years since the last time. When we reached our anchoring location for dinner, the crew expertly took over and settled all of the sailing rigging. After watching and photographing an amazing sunset, dinner was served. What a meal! Top quality, lots of choice, and abundant quantities of everything. And there was comfortable table seating for everyone, previous review notwithstanding. Drinks were served at table by the efficient and very friendly crew. What I really liked about this cruise is that they take a maximum of 32 people, which allowed for easy interaction amongst all of the crew and guests. The boat was spotless, and the 'heads'-washrooms - were clean and stocked with luxury products. This is quite an expensive cruise, but worth every penny of the cost. I had been looking for a nice dinner cruise that is a little more intimate than the large ships with several hundred people. The Makani sunset dinner cruise was perfect with only 30-40 people and a much more personal feel. Check-in was 5:00 and we boarded the catamaran around 5:20. We were given a quick overview of the ship, safety protocol, and facilities and were off around 5:30. The initial drink service was a little slow with only one bartender but after the first round, ran fairly quickly. The food came out about 30-45 minutes into the trip and was a very tasty buffet line, similar fare to most Asian buffets in Hawaii. The catamaran is a great design with a lot of exposed areas to stand, sit, and sunbathe as well as rails all around the ship. There is also a covered seating/dining area below deck in the center with the bar that is perfect for getting out of the wind and/or enjoying your dinner. The night we went out was pretty windy/choppy but it didn't bother us and didn't look like anyone else aboard the ship had any motion sickness issues. 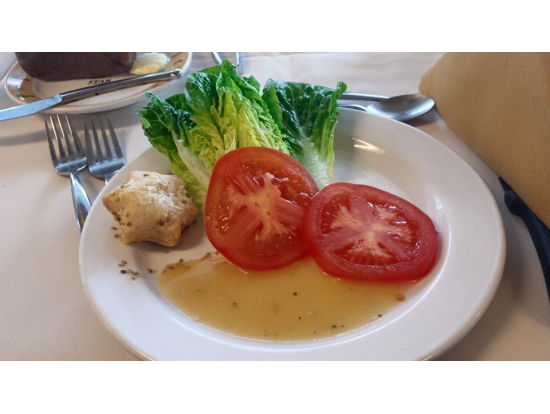 The crew was very friendly and helped to deliver a great dinner cruise experience. We had captain Johnny, bartender Jenna, and can't remember the first mates name. The fireworks display finished off our night and then we quickly returned to the harbor. I'd definitely recommend this dinner cruise and will take friends and family visiting Hawaii on this again in the future. 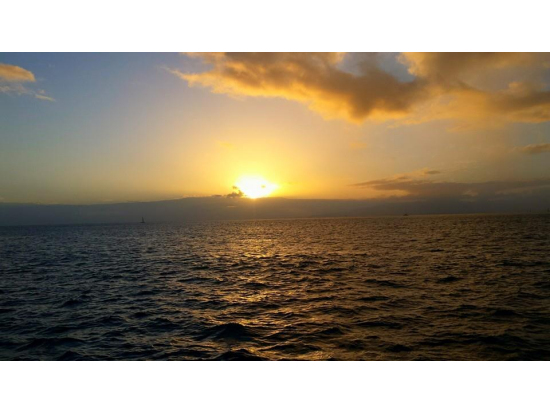 What an amazing adventure we had on the Mikani Catameran Sunset Dinner Sail. The whole experience was sensational. From the time we were picked up from the hotel the arrangements were seamless. All the directions provided by Veltra were easy to follow, the driver was on time and super friendly and we felt instantly welcomed. The air conditioned van was very spacious and comfortable and our destination was just a short ride from Waikiki. Upon our arrival at the wharf we were met by the booking staff who assisted us to check in and provide our boarding pass. Stepping on board the catamaran we were welcomed by the friendly staff who were all very professional and we instantly felt part of the family. The boat was spacious with lots of areas both inside and out to cater for all tastes. 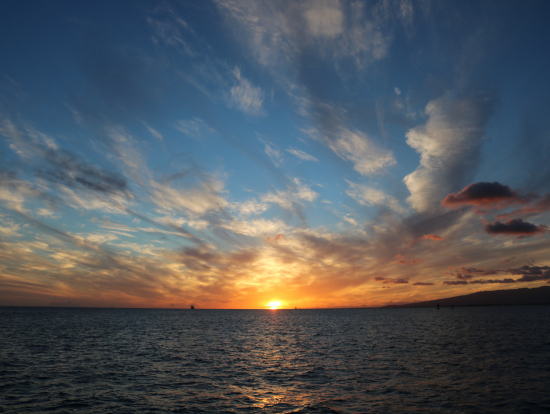 As we sailed off into the spectacular Hawaiian sunset we enjoyed the expansive views of the Waikiki coastline. After an enjoyable sail, we were invited to enjoy a delicious buffet dinner and home made cookies for dessert. After dinner we settled in and prepared ourselves for the fireworks. 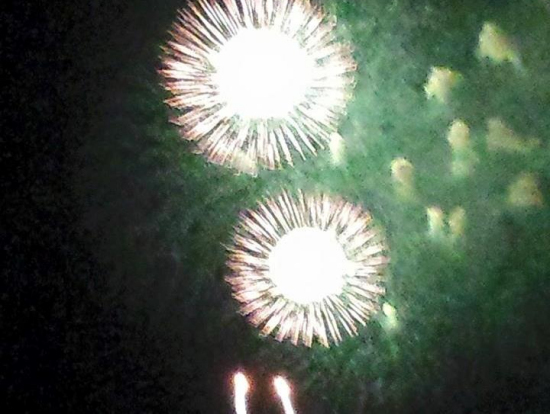 We weren’t disappointed, the captain ensured we had the best vantage point to experience this spectacular show. I would highly recommend this cruise to anyone visiting Hawaii, it was the highlight of our trip and something we will never forget. We will definitely be back next time. First off, the employees at VELTRA went out of their way to ensure our booking was confirmed and they even delivered a confirmation page for our sunset cruise directly to our hotel. Absolutely fabulous service all around ! When we arrived at the beach at the required check in time, friendly staff welcomed us as we waited to board. Once onboard, the crew went above and beyond to ensure everyone had an amazing time! Even though this is listed as a " Cocktail Sail " , it was also a very family friendly atmosphere for our teenage Daughter as well, she had a most enjoyable time and not to worry, they have a variety of free non- alcoholic beverages available onboard too. They offer a photo option of your family / group prior to boarding which we normally would not buy but the background and picture quality came out so incredible and was worth the 15 dollar fee ,they have the print in a cardboard folder waiting for you upon your return to shore if you decide to purchase it. 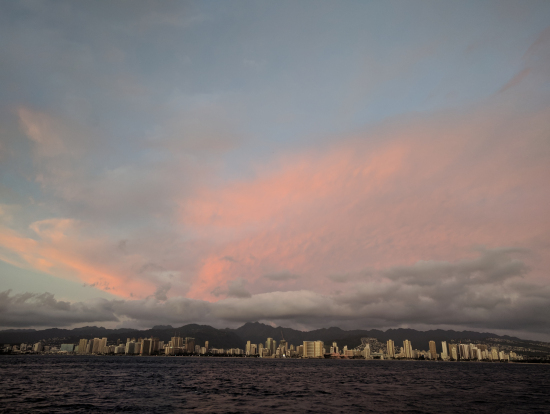 This sunset cruise was a superb value for the low price , from the amazing Crew, to the smooth and safe sailing , and the fun music and relaxing atmosphere , it was a great way to meet so many other nice people on our Hawaiian Vacation! This was one of our top experiences on Oahu. Simply put, we cannot wait to do it again on our next visit to Waikiki! I spent a consideral amount of time researching some of the different options for sight seeing tours of the Napali Coast and found this to have the best reviews and all of them were 100% accurate. My girlfriend and I had been very active on our trip to Kauai up to this point and looked to this as a relaxing evening which it was. The Caiptain (his name escapes me) was very funny throughout the trip making sure to update us when we were near items of interest and was also a very skilled navigator, at one point situating the stern of the boat under a waterfall for people who wanted to go under it. The two deck hands (I am not sure the proper title) were very attentive to all of the guests aboard throughout the entire trip. I forget the gentelmens name that I spoke with but he stood with me for some time explaining to me much of the history of the Napali Coast as well as what it has been like growing up on the Island which made my experience even better. The crew does whatever it takes to make sure you have the best experience possible and my tip to you is to tip them accordingly, they do a great job and deserve it! I highly recommend this to anyone interested in having an informative relaxing experience. Also, the food was very good and the crew made sure that you always had a drink in your hand. We had the best trip you can get to the Napali Coast! The weather did it's best to blow away the clouds, but also made the sea rough so we got lots of fun in the waves and went wet in the front of the boat. After half an hour we were completely soaked and decided to go to the back were it is almost dry. There you also have a god view but it is rather bumpy than on the front of the boat. We had a nice and sunny view along the coastline of Kauai. Compared to our trips by helicopter and car the boat trip is the most relaxing way to see the coast and for us the most impressive. The height of the cliffs of Na Pali Coast is best seen from the bottom. From up in the air you'll get a great overview but you wouldn't see the whole scenery. The buffet on board was well organized and we had some delicious snacks on our tour. The crew took very good care of us all along the trip and offered very often to take pictures of us in the beautiful scenery. Nearby the harbor we made an additional stop to watch out for wales and turtles which are often seen on that place. Unfortunately we didn't find any turtle or wale but a lot of flying fish. The beautiful sunset with a glass of champagne was the right ending of a beautiful day on sea. MAHALO to Capt. Kelly and the crew Aaron, Jake and Max! Thank you for your kind review and for choosing Holoholo Charters! The most romantic and special event of a lifetime! 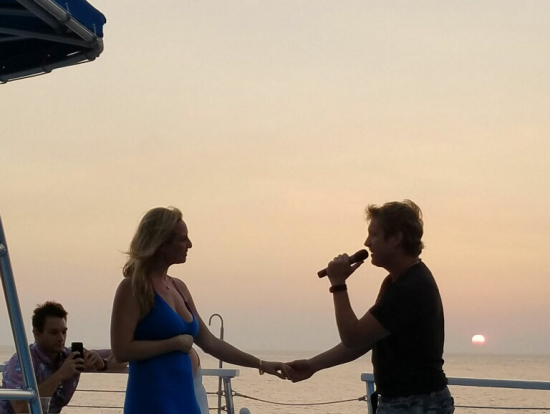 So I decided to propose on this particular cruise, and I couldn't have picked a more romantic, thoughtful, and special cruise to do it. I was so incredibly nervous, but the customer service rep was extremely communicative and responsive for my specific request. John, the captain of the vessel, was so knowledgable in the marine life, that my fiance and I asked if he had majored in Marine Biology in college. He had a lot of passion for the marine life and he spent a lot of time speaking with us. Also, the wait staff was beyond courteous, they took pictures of my engagement, and they made us feel so special with their champagne toast. I also set-up an original song to sing for my fiance, and the musician onboard actually learned my song before-hand, and played it perfectly as I sang it in front of 40 strangers! 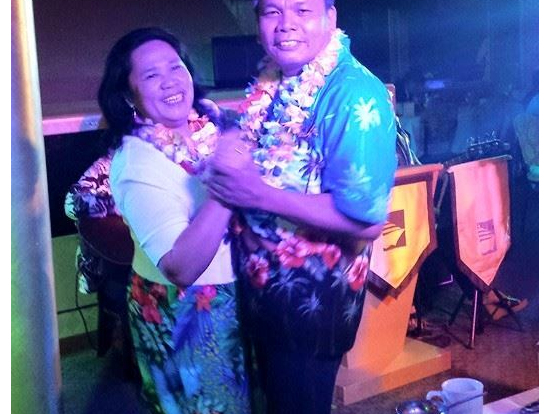 His tunes really bring that cool, Hawaiian vibe, and the MC was great with her meticulous tour and crowd work. I couldn't have asked for a better sunset, a perfect location, and the greatest staff that I have probably ever encountered. That's saying a lot as I had been a musician on several international five-star cruise lines in the past. I would HIGHLY recommend this cruise to anyone looking for a special event with incredible food. 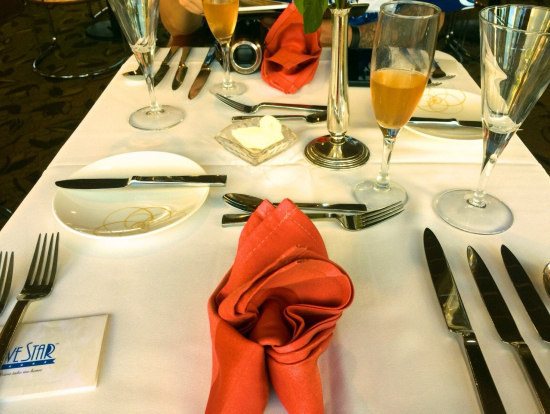 My husband and I had a spectacular time on this 5 star dinner cruise. 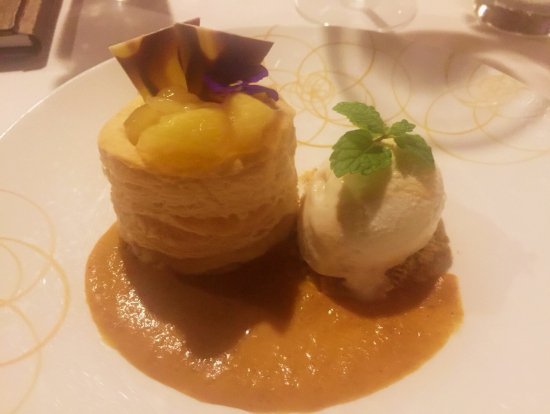 We've lived here for 11 years and this was our first time experiencing the elegance and absolute superb 5 star dinning experience the Star of Honolulu offers. From start to finish everything was spectacular. We were treated like VIP's. We were greeted and warmly escorted to the boat where we partook of some extremely delectable pupu's while being serenaded by a Polynesian dancer and ukulele player. We were also introduced to the Captain of the ship and was afforded a photo op with him. As the evening progressed the boat set sail and the 7 course meal did not disappoint. We ate until our belly's were super tight. Did I mention the majestic sunset we watched from our window seats? Simply amazing! We also enjoyed the top shelf drinks that were apart of the menu. But not to worry if you are not an alcohol drinker there are many non-alcohol drinks to choose from. 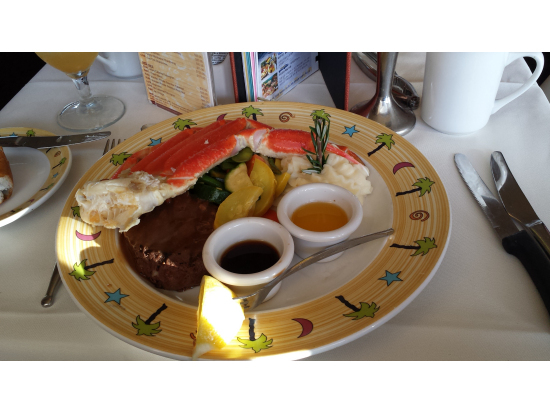 The Star of Honolulu Dinner Jazz Cruise. My husband and I took the Star of Honolulu Dinner Jazz Cruise on 10/22/2017. This was one of the best meals I have ever had. You are treated as royalty as soon as you check in. On check in, we found out that this level of dinning (there are 3 levels) requires men to wear long pants. This was booked as a surprise gift for my husband and I totally forgot to have him pack pants. The staff was great and got my husband a pair of slacks that they keep on hand. We were escorted from the check in to the boat and then by another attendant to the ship were we took photos with the Captain. Then the luxury begins. We have complementary welcome about cocktails and 3 amazing appetizers. Our waiter Forrest escorted us to our table. The meal is 7 courses, but each is small so you are able to finish. Each dish was amazing. At desert you are offered a coffee and can include an addition of coffee liquor. They have premium spirits aboard and you get two free drink tickets in your package. There a constant flux in hula shows and then a jazz show. They were very good. I highly recommend the rainbow colored martini, yummy. The staff all went an extra mile to make this the best experience ever. My wife and I have taken two Hawaiian dinner cruises in the past. This was our first dinner sail. At first we were concerned about the size of the boat compared to the number of people waiting to board, but we quickly realized that there was room for everyone. If you are wanting a choreographed dinner show, this is not the activity for you. This was a fun, relaxing sunset/fireworks sail. The crew was very nice, and walked around to check on the guests to make sure they were doing alright and even gathered up the guests' garbage. This was appropriate for families, couples, and groups. The crew even cast out two fishing lines to see if they could catch anything during the evening and caught a fish on one of the lines. We drove from the North Shore to go on the dinner sail, and it was well worth the drive. Parking was convenient and reasonable. I would recommend arriving at least 15 minutes before check in to get a close parking spot. The only thing I would suggest would be to serve a dessert option without nuts, as some people do not like them or have nut allergies. 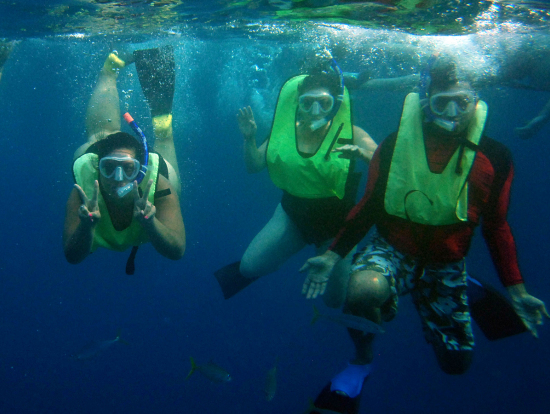 I would definitely recommend this activity and would do it again on our next Hawaiian vacation! 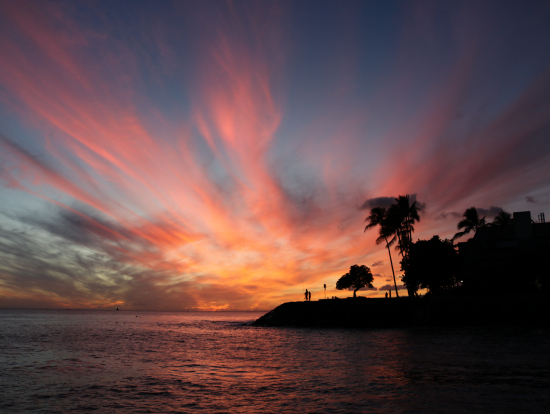 The best sunset on Oahu! This sail packs in so much in the perfect amount of time. Not only do you get to sail along the west coast of Oahu, but you get to visit a great snorkel spot, eat your fill of delicious food and guzzle down lots of drinks! 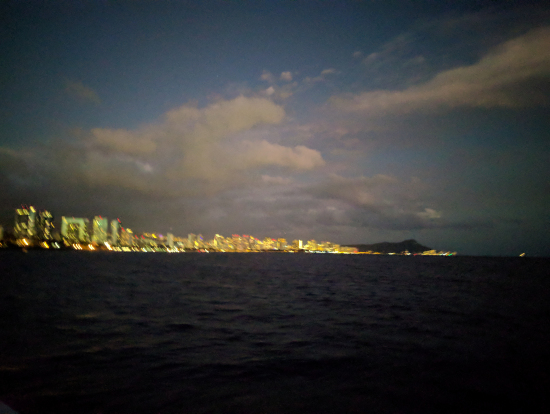 I have done a lot of regular dinner cruises in Hawaii and in other states, but this one is definitely the most unique and you totally get a great bang for your buck. Since you are on the west side, you are literally right there as the sun dips below the horizon, and with a steady stream of drinks and as much food as you can eat, there isn't anything better!!! The drive is like 40 minutes from Waikiki, but the transportation was comfortable and on-time. Great option if you don't want to drive and definitely a "must do" if everyone in your party is planning on knocking back a few. Best. Dinner. Snorkel. Sunset. Cruise. EVAR! 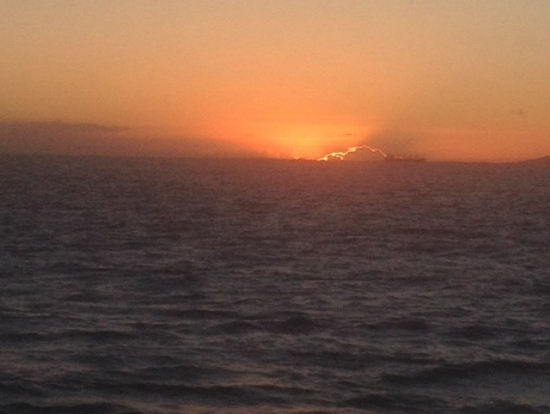 June 2015 we did this sunset cruise and hands down said it was the best part of our trip. 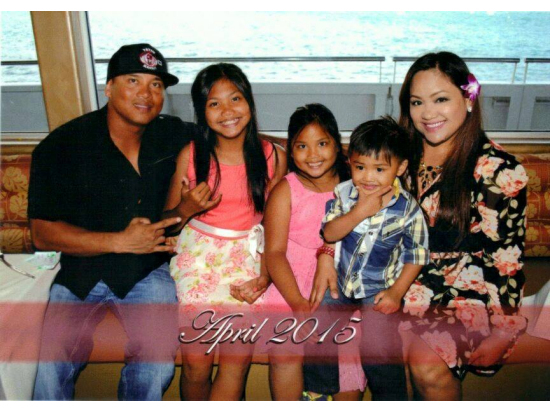 March 2016 we planned another trip back to Waikiki and this was the first thing we booked. When you check in for the cruise you will have your picture taken before you board, with Diamond Head in your background. You can buy it at the end of the cruise for $20 dollars. We now have bought 2 of these pictures which are now hanging up in our house because the quality is so great! The selection of drinks is great but oh my goodness you have to try the boat cocktail. Hands down one of my favorite drinks now and I craved that cocktail ever since our first cruise. But beware they have a punch and you will be feeling great on no time! Thanks to the crew for a awesome experience once again. You guys are awesome!! This last cruise was the best because it was windy enough to sail, we saw a blue whale and it was a perfect evening. Cocktail in hand! One thing that I also enjoy about this cruise is by the end of the cruise you've became friends with half the boat and had a amazing time while enjoying the view. Thanks again Holokai Crew until next time! It was our first activity as soon as we got off our flight. Even though we had jet lag after a 6 hour flight we had the time of my life. My husband and I have never done a dinner cruise before. He is scared of water and gets sea sick fast. From the time we stepped foot on the boat we were greeted, seated quickly, music and entertainment was great, and Marissa our waitress was superb; we loved her and the guitarist they both were totally cool. Everything they brought out was very flavorful, the lobster was succulent not rubbery, steak cooked perfectly, and dessert was delicious. The drinks were also very good especially the blue Hawaiian; it was perfecto. We did not think we would be able to eat everything they were putting in front of us but they gave us just enough time in between each course that made it easier. When it came for the dessert I was so full I didnt think I could eat another bite. We thought we would just take one bite. You know just to try it but as soon as we took one bite it was just too good we both ended up eating it all. At the end they had everyone dancing it was a very fun and delicious experience. 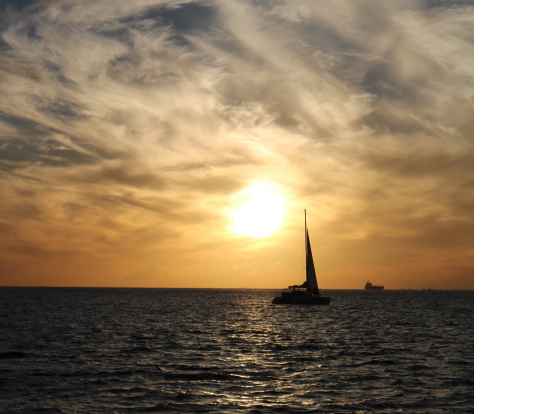 This was our first sailing experience in Hawaii and we were more than satisfied with the evening. From the boat, to the crew, to the food, and the sunset, everything was perfect. The 65' vessel was clean and spacious with plenty of room to walk around and take in the views from every direction. Diamond Head crater in the evening light was majestic and stunning. Throughout the sail, the crew were all helpful and attentive. In addition to their regular duties of serving food and drinks and providing knowledge of marine life (we saw a whale! ), they also played the role of photographers and were kindly willing to take pictures of guests with the beautiful sunset as the backdrop. Also worth mentioning was the delicious food. If you're vegan or vegetarian, no need to fear! They were very accommodating and provided various options like tofu wraps, spring rolls, rice, potatoes, and steamed/sauteed tofu with veggies. I certainly did not leave hungry! 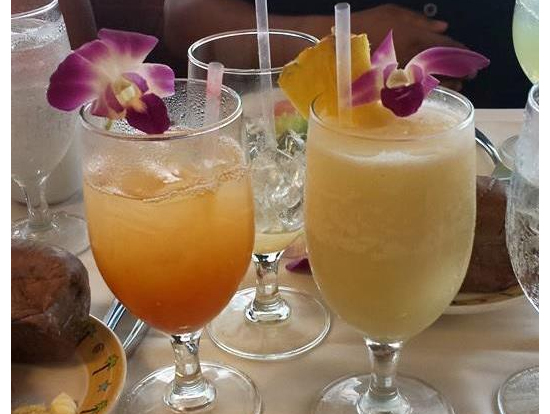 And of course the exotic cocktails were refreshing and yummy. 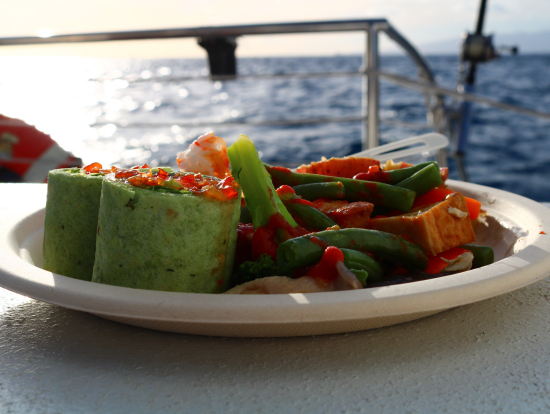 The Makani Catamaran dinner cruise exceeded our expectations and left us eager to set sail again! 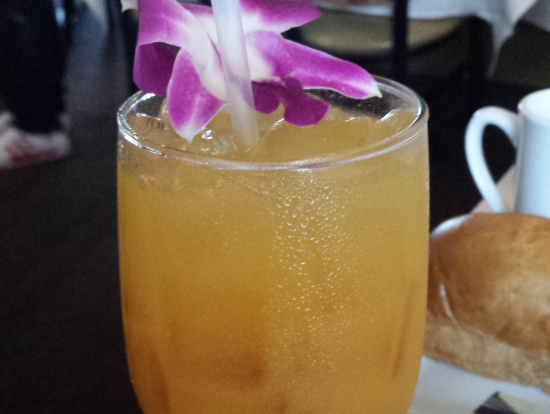 Enjoying our complimentary mai tai and the view! Mixed veggies, white rice, tofu roll, and grilled tofu. Also available: beef and chicken. Mahalo! We are so happy to have you experience Makani, we look forward to having you aboard again! Have a great Makani Day! 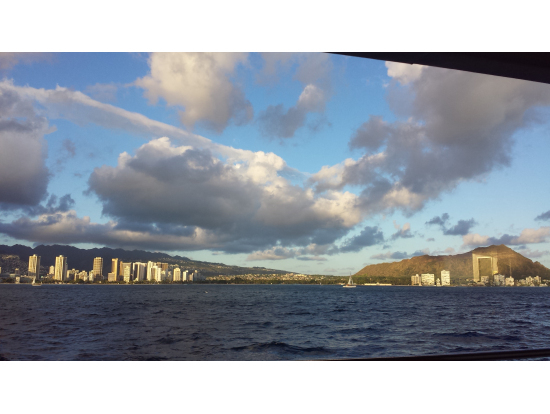 Makani Dinner Cruise exceeded our expectations! We originally tried to book the Star Line dinner cruise, but it was booked up. I'm glad we decided to book the Makani dinner cruise. It exceeded all of our expectations! The boat wasn't very big, but was able to accommodate up to 65 people. The crew were very welcoming and willing to help with anything we needed during our ride. They really made the whole experience a lot more personable than we would have gotten if we booked the Star Cruise. The food was a small buffet style selection. It was all you can eat, and was excellent! They don't have an open bar, but there's one free drink included in your purchase. The bartender Chris was a real cool guy. Probably the most popular guy on the boat. I can't seem to put my finger on why lol. 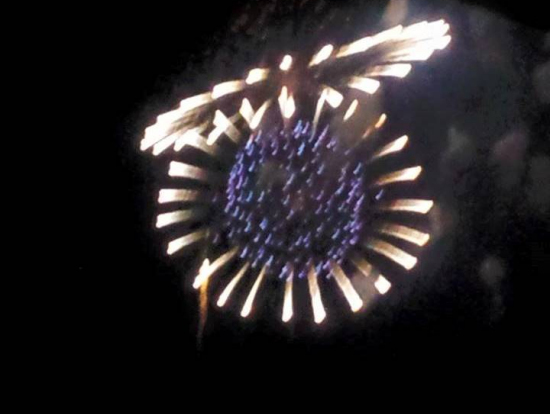 To cap the night off the fireworks over the water were amazing! To see Waikiki lit up and glaring with fireworks was the highlight for me. I would definitely recommend wearing a light jacket, possibly even some pants. It gets extremely windy during the ride! 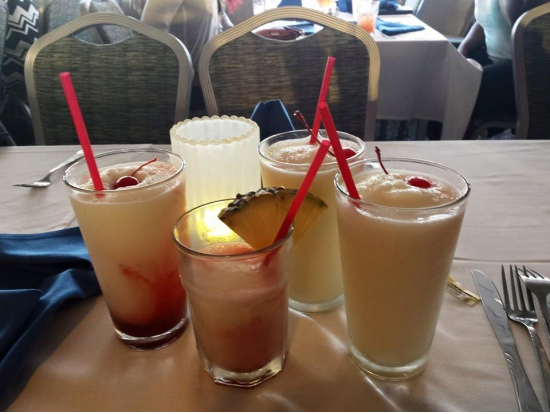 If you're considering doing the dinner cruise you can't go wrong with the Makani! 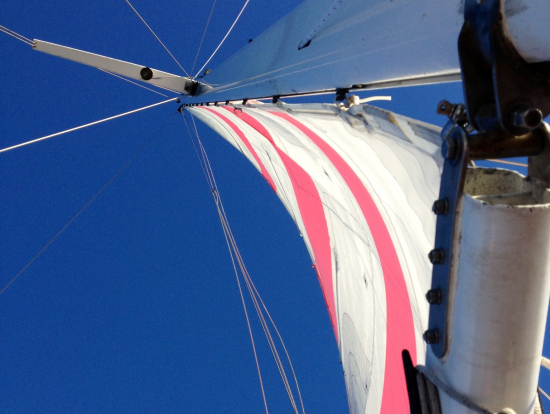 Aloha and Mahalo for sharing your Sail Makani experience. So glad to hear you decided to sail with us. Looking forward to sailing with you once again.